Star Wars Sphero BB-8 | Nerd Much? Yesterday marked the unveiling of some of the upcoming Star Wars: The Force Awakens toys, and in that lot of awesomeness was a Sphero-powered BB-8 Droid. 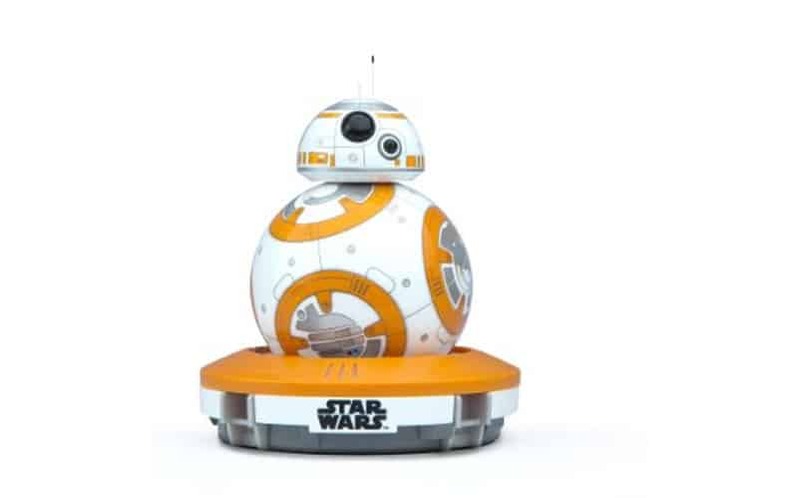 This BB-8 toy is guided by your smartphone or tablet. It’s as authentic as it is advanced. It even has an adaptive personality, as it listens and reacts to your voice. What’s more, you can record, send and view virtual holographic videos. The BB-8 has a mind of its own, and its actions evolve over time. It uses an inductive charging base with an electromagnetic field for wireless charging. The BB-8 Star Wars toy is extremely agile and incredibly durable, and it weighs just 2.24 lbs so you can take it with you anywhere. It’s available on Amazon, Thinkgeek and Brookstone. See More Cool Star Wars Stuff to buy.